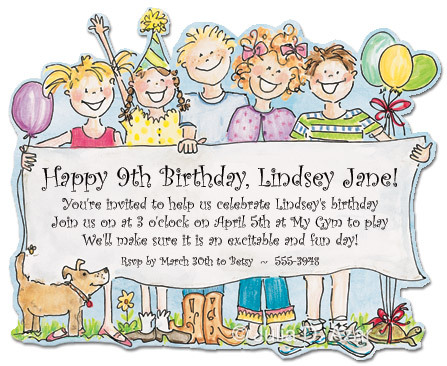 With this adorable invitation you can almost hear the kids screaming "Happy Birthday!". 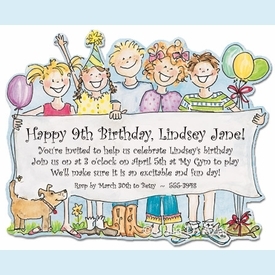 Oversized diecut invites features kids with banner that is imprinted with your personalized info. Customer assembly required. CLOSEOUT...only a few sets left! SIZE DIMENSIONS: 7.25" x 10.5"